The drop is over 300 metres. The path, steep and narrow, is a jumble of large boulders washed down a jut in the cliff side. Black, the mustang beneath me, is growing more hesitant with every step. He picks his spots carefully, like a dandy trying to cross a rock strewn stream without getting wet. Gabriel Chester, our Navajo guide, frustrated at Black’s tentative pace, dismounts, walks over to a tree, twists off a branch and puts it in my saddlebag saying “here’s your gas pedal.”Now I merely have reach toward the switch and Black instantly overcomes his reluctance, tackling the rocks with a new found bravado. Arizona and the Grand Canyon are synonymous in most people’s minds, but the state is also home to another deep cut in the Colorado Plateau—the Canyon de Chelly. It, along with the adjoining Canyon del Muerto (Canyon of the Dead) and Monument Canyon form the Canyon de Chelly National Monument, which lies entirely within the Navajo Nation in the northeastern corner of the state. Although smaller than the Grand Canyon some 225 kilometres to the west, Canyon de Chelly (pronounced de-SHAY) has a visceral pull unique unto itself. Hosting the ghosts of some 5,000 years of inhabitants, its ancientness is revealed through the Anasazi ruins tucked into the steep sides of its walls. Yet while the timeless aura of the canyon is strong, it resists being just a relic of the past. From a lookout high above, we watch the microscopic activity down on the canyon floor. The Navajo still use it as grazing land, and what look to be miniature replicas of horses and sheep, call out for closer inspection. “The canyon heals your mind,” Chester tells us. “You just ride down into the canyon and you feel the beauty, it’s like heaven. You feel the air and the emotions. People cry when they first come here because they see things with their imaginations.” In truth, the imagination has very little work to do. With its ruins, ancient petroglyphs, and red finger-like rock formations jutting from its floor, the narrow valley generates a magical realism all on its own. Even a simple hogan, the traditional Navajo log cabin, standing lonely on a rise with the red canyon wall towering behind it, casts a spell of perfect pastoral enchantment. It’s close to a half an hour before the hard angle of the path finally flattens out. Given the dryness of the Arizona landscape above, I’m surprised by the tight thicket of cottonwoods and cedars that greets us on the floor of the canyon. We breath it all in. Eventually, I ask Chester if we can run the horses a little. He laughs, nods, and kicks both heels into his horse’s sides. Black breaks into a trot instantly, as if the slow saunter was not his natural pace. Soon he’s in full gallop heading toward a darkened grove of Russian olive trees ahead. The hardy trees with their silvery foliage bring a welcome lushness to the canyon floor, but are not without controversy. Russian olives—the name points to foreign origins—were introduced nearly 100 years ago, ostensibly to stop erosion of the valley floor. But some Navajo who live here say it was to make the land more pleasing to the white man’s eye. Whatever the reason, the quick-spreading trees made the soil unsuitable for its traditional use as farmland. As a result, the gulch now holds more weekend painters and Jeep tours then it does crop growers. This situation has let Navajo who are open to tourism thrive, and left those nostalgic for the past, slightly bitter. The sun is a falling red disc by the time we climb back to the canyon rim. Back at the stable, we linger on our horses, talking with Levi Bigwater, who runs the Totsonii Ranch. Though only in his early 20s, he’s steeped in knowledge of both the land and the myths born of it. He tells how the hero twins of Navajo lore angered a menacing giant who lived in this area. 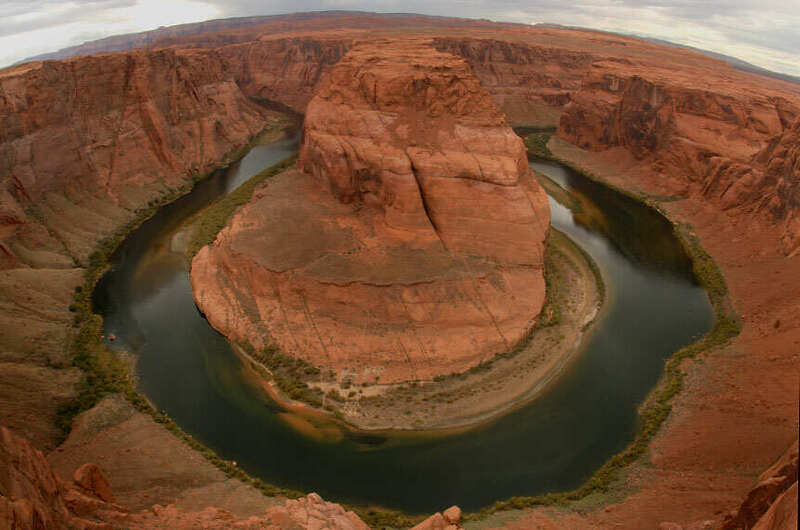 “The twins infuriated the giant so much, he smashed his club down on the earth with such force that the ground split and the canyon formed,” Bigwater says in what I’ve come to learn is typical Navajo deadpan. The twins eventually outwitted the giant and rid the Navajo people of his presence, but the canyon would forever carry the legacy of its violent formation. 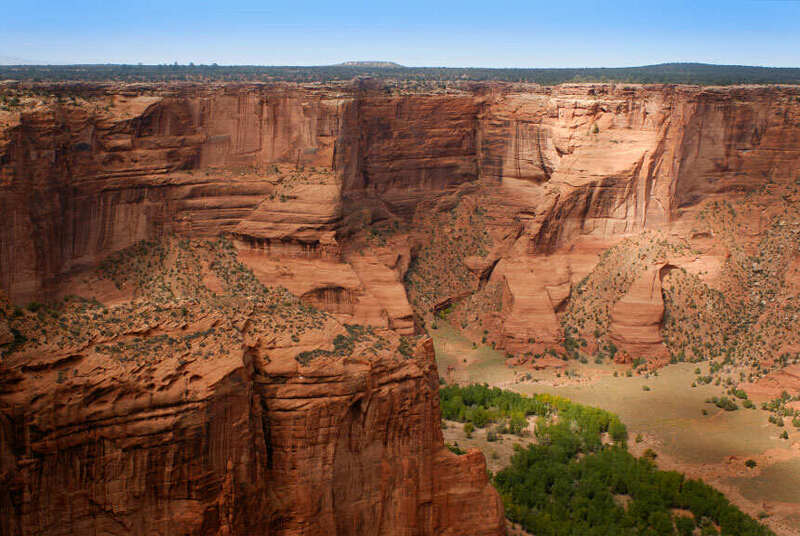 By necessity the Navajo came to see Canyon de Chelly as their last line of defence, both from earlier Spanish attacks from the south and the later Americans who marauded from the east. Present day names like Massacre Cave serve as reminders of a tragic past. But it was the expedition ordered by Brig.–Gen. James Carleton, and fronted by Col. Christopher (Kit) Carson in 1863 that had the most devastating effect. Whether it was a ruse for the U.S. government to get at the gold believed to be under the Navajo land, or simply as retribution for Navajo raids on American outposts, is a matter of some debate. What is unquestioned is that Carson’s campaign was so ruthless the Navajo had no choice but to surrender. With that, the Long Walk of 1864 began. Conditions on the infamous 500-kilometre forced march were so dire that coyotes trailed the Navajo waiting for the next one to drop from weakness. The 8,000 who survived the walk found little solace at their destination. For the next four years they were interned at Fort Sumner in eastern New Mexico where the land was unarable land and even more of them succumbed to starvation. Not knowing what to do with a bad situation getting rapidly worse, Washington decided to set the Navajo free to return to their own land. “The Americans made a mistake after Fort Sumner,” Chester says while standing on a rock protruding over the deep canyon. The bitterness that marked his face as he mentioned “Sumner” and “Long Walk” suddenly clears, to be replaced with a proud, somewhat mischievous, grin. “They opened the gates and just let us leave,” he continues. “They didn’t chase us back to one small area. So we got all this.” Chester’s hand extends out over the canyon and beyond it to the wide, vast plateau that stretches as far as the eye can see. Technically a 70,000-sq.-km reservation, Navajo Nation seems a better name for an expanse of land roughly the same size as Wyoming. The Nation spans three states, but photographer Jason George and I narrowed our focus to the one holding the largest chunk of it, Arizona. Over the course of our tour we put roughly 3,500 km on our Kia Rio rental trying to drink in as much of this mystical land as we can. And while the little car couldn’t be faulted for moaning about the pace and frequency of our travel, it’d be hard pressed to gripe about the scenery. What’s most striking about the landscapes you breeze by on the smooth highways of the reservation is how quickly and how dramatically they can change. On one stretch, winter green sage bush rolls by seemingly forever, until monolithic slabs of foreboding black rock, shot with shocks of red, break through. We drive on. After winding around low mountain ranges of yellow orange and white, and through tall pine forests, we come alongside a massive sheer cliff wall dominating the eastern horizon. We turn west, away from the cliff, but it’s not long before George decides we have to pull over and take it all in. In the distance, the fortress-like cliff wall smolders a warm red in the setting sun, while ahead, a new range of brooding mountains rises up darkly. There’s little in the way of words to be shared when you find yourself amid such epic surroundings. After a few head shakes of disbelief and “wow,” and “unbelievable,” we get back into the car and drive on in silence. No doubt similar moments took hold of legendary western director John Ford. He first came to these parts to shoot Stagecoach in 1938 and returned with John Wayne in tow time and time again to capture the mythical profundity that the landscapes in Navajo Nation exude. Perhaps no place, as Ford well knew, epitomized that profundity more than Monument Valley, which takes its name from the lonely, orangey-red cliffs scattered across its plains like hulking machines from another planet. The great slabs were formed when pressure deep in the earth’s crust pushed up, causing bulges and cracks. Erosion further chiselled away softer rocks, leaving the sandstone to stand, weathered but tall. Flying in the face of our guidebook, we take our little vehicle—decidedly not a four-wheeler—plummeting down the shock-wrecking, tire-busting dirt road that twists toward Dineh Trails. 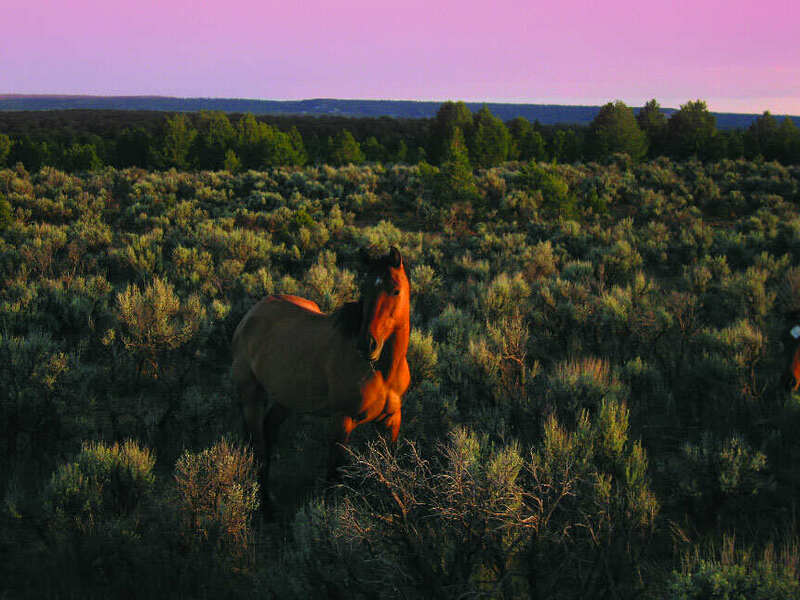 Run by Jamieson and Lorraine Black, the lonely outpost offers horseback rides through Monument Valley for those who want to feel a little like John Wayne themselves. Tyrone Black, Jamieson and Lorraine’s nephew who will be our guide, wears a white cowboy hat, but isn’t remotely interested in evoking the spirit of the Duke. This has been his people’s land since long before Hollywood came calling. And as can be seen by the look of childish anticipation that comes over him when he describes where we’ll be riding, it’s a land that has not lost its power over the Navajo. Black grew up here, but like many young and ambitious Navajos, he left for Phoenix as soon as he was old enough. An electrician by trade, his stint in the big city mirrors that of many of native youth across North America. It’s a trend that raises concerns about cultural preservation. How can Aboriginal languages and customs be preserved when youth bee-line for the money of the city? Black, for one, though, returned to his home some six years ago. 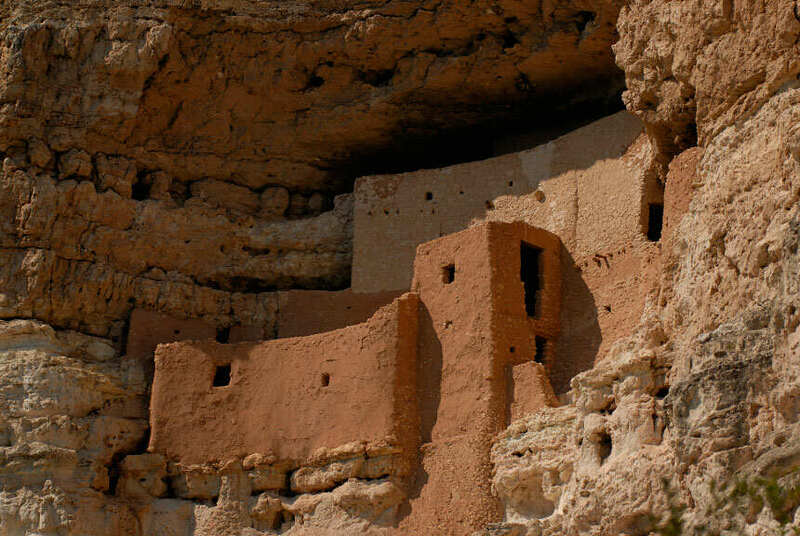 Unlike their neighbours, the more reclusive Hopi tribe, the Navajo place a high value on adaptability. As Pueblos—or town-residing people who relied on agriculture as opposed to nomadic hunter and gatherer tribes—the Hopi have lived in the same area and with the same traditions since long before the United States was even a notion. The Navajo, meanwhile, were nomads who likely arrived in the area from Canada in the 1300s. They learned from the Pueblos, and altered their ways from the north so that they could thrive in the dry lands of the southwest. That spirit of adaptability continues to play out as the Navajo look for ways to preserve their culture within, and alongside, the modern western economic system. In many ways Black’s journey back to work as a tour guide embodies that spirit. 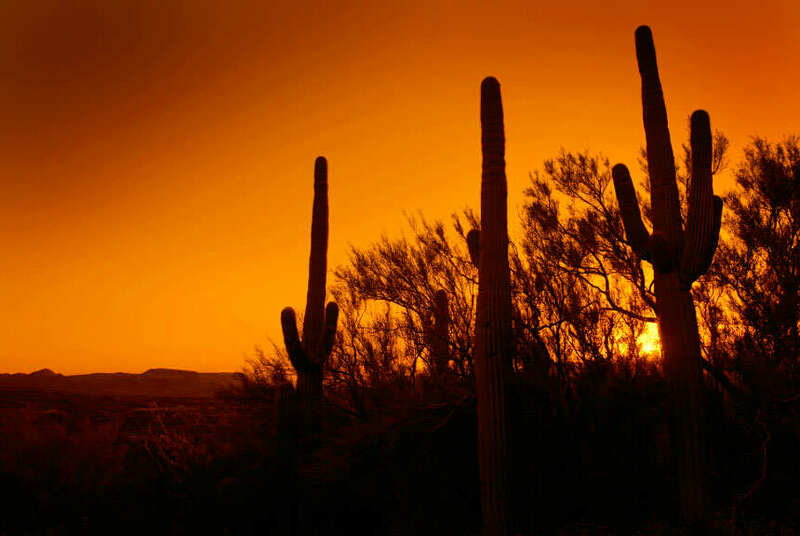 While the money in Phoenix may have been better, “it wasn’t anything like this,” he says, one hand letting go of the reigns as he makes a wide sweeping motion with his palm lifted toward the sky. He leads our horses around a large sand dune, and after a few metres we can hear the chortling of the Sand Spring. Soon we are in a patch of lush green, covered by the shade of a single cottonwood, and in the shadows of a series of tall, narrow rock structures known as the Totem Poll and Yei Bi Chei. When we get back on the horses, we point them straight up over the dune and back into the valley. Black leads the way at a steady pace. After a while his white cowboy begins to fade into the horizon and the silence of the valley begins to take over. Whiskey, the grey mustang I’m riding, has been slowing off the pace for some time now. He knows the land better than I do. Understands its pace. Knows that it must be savoured alone. Between two large mesas standing some 150 metres apart, a framed picture opens up. A skyline of lonely, wind-formed sandstone architecture stretches across the clear blue canvas. Some of the rock formations are slim, twisting like Giacometti statues into the sky. Others with more girth resemble figures wandering as if on a pilgrimage out to the most desolate part of the desert—beyond the monuments, beyond the mesas, just beyond. Black is out of sight, but there’s no fear of my getting lost in the valley. The cliffs on either side guide you toward where you came from like tall hedges in a friendly garden maze. I kick Whiskey and hold on with all my might as we barrel over the land. No sooner does our guide reappear on the horizon than we overtake him. We race toward the stable where two stable hands unload big blocks of hay from the back of a red pickup truck. As Whiskey comes to a rumbling stop, he rears back around to face the valley and I watch as the sun-touched pinnacles of the rocks seem to bow a farewell. The next morning we make the two-hour drive west to Page, Ariz. A good base for seeing the slot canyons in the surrounding hills, Page is a modern town that sits just outside of the northwestern edge of the Navajo Nation. Not that it always did. After some intense bargaining, the Navajo handed over some land in Arizona to the U.S. government in the late 1940s so that the 20-metre-high Glen Canyon damn could be built. In return, Washington offered the Navajo a large area of land on the other side of the Utah border. The subsequent flooding created Lake Powell. Its deep blue waters seem to clash with the motley dry beiges, purples and whites of the Vermilion Cliffs that close in on its northern shore. In the 1950s, uranium was found on their newly acquired land, and the Navajo reaped their share of the profits— although not without a price. At the height of the boom, there were as many as 15 uranium mines on the Navajo Nation. This has left many in the community angry over expired mine clean-up and health risk issues. Today, Page is basically a 50-50 mix of whites and Navajos, many of whom personify the creed of adaptability in their entrepreneurial zeal. One of the best examples is Chief Tsosie. When we met him, he was standing behind the counter at his gift shop/convenience store, wearing a crisp sky blue T-shirt and stylish black-rimmed glasses. Tsosie’s a nimble 40- year-old whose quick movements point to the fact that there’s always something more to be done. And while Tsosie, who runs both the store and a tour company, is Navajo through and through, a chief he isn’t. Not through any fault of his, however; the Navajo just don’t have chiefs anymore. The family was down to their last $74 when a loan from the Navajo Nation that Tsosie had applied for to buy a local tour company finally came through. “And it’s been like candy ever since,” he says. It’s the taste of candy you get by earning a living in the playground of your childhood. And Tsosie is that rare breed of guide whose sense of wonder is contagious. Walking through Antelope Canyon with him is to feel like a kid again, playing a game in the one of the most fantastical places one could imagine. 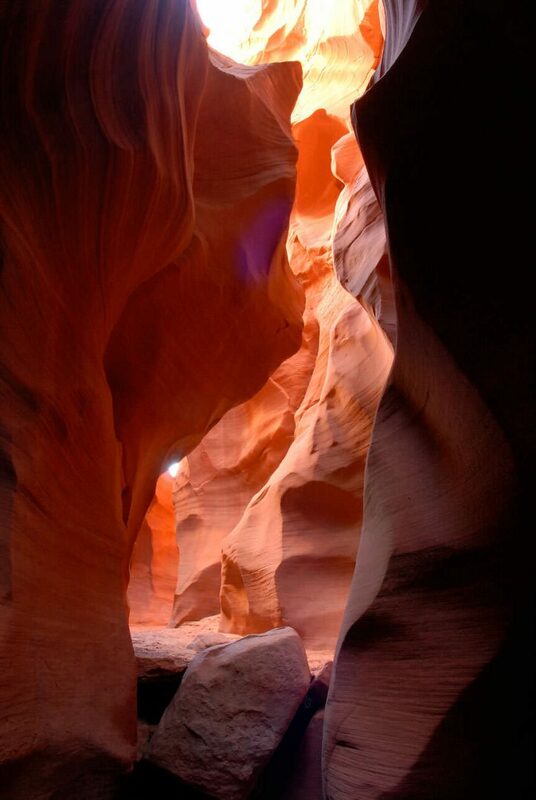 Antelope Canyon is by all accounts the most spectacular of the slot canyons in hills around Page It was formed—and continues to be formed—by flood waters that crash down the washes during monsoon season. When the roaring waters hit these big blocks of sandstone, they find narrow slots—hence the name—which in turn further propel the water, creating a pressure so intense that it begins blasting away the interior of the rock. The result is a narrow canyon whose two sides bend, dip, and undulate in a surreal and synchronistic dance with one another. And then there’s the light. Although the bulbous formations overhead make seeing the sky from the canyon floor difficult, bars of light shoot down as if from a divinely inspired window of yellow-orange stained glass. Such an artful structure is far from being a secret these days. With some five tour groups operating here, Antelope Canyon draws the sorts of crowds one would expect more in a European art gallery. The narrow alley hums with sounds of different tongues and camera clicks. It’s hard to imagine that just 30 years earlier the canyon was all but unknown to anyone other than the Navajo. Not that Tsosie longs for a return to the private canyon of his youth. He loves the crowds, and quickly picks out various visitors’ countries of origin, then greets the strangers in their native tongues. If there were any babies, I half expect he’d kiss them. For all his bustle and congeniality, Tsosie is a man deeply connected to his Navajo roots. Later that evening, he takes us back to the ranch where he was born, raised, and now lives in a new bungalow with Rosalind and their four children. Across the driveway is the small three-room house he grew up in, and where his mother Juanita still lives. We go inside the older home to sit with her and Tsosie’s Uncle Freddy. Juanita, seated on a worn black sofa, has a TV-dinner tray in front of her that’s filled with the beads and threads she uses to make necklaces and other ornaments. Holding her needlepoint in her hands, she greets us by closing and opening her clear, dark green eyes. Juanita’s face is inscribed with deep grooves harkening back to the lines in the walls of canyons. Lines that tell of years on the plateaus and in the mountains collecting the multiple leaves and herbs that go into Navajo tea, and the treasured mountain tobacco that grows wild in region. Eventually Freddy takes out some mountain tobacco and rolls it in a dried and carefully cut corn husk. He shows us how to blow the smoke first to the east, then the south, the west and the north. Then down to the earth then up to the sky. Next he blows the smoke into his left hand and carries it from his toes to his head. He repeats the motion with his right. He passes it to Juanita. She repeats the ritual and passes the smoke on. Soon all of us have blessed the earth’s six directions and ourselves. Sitting in the small smoked-filled room with the taste of sweetly bitter smoke lingering in my mouth, I think for a fleeting moment that I’ve captured a taste of something more than just the mountain tobacco in the here and now. It’s the flavour of the past, tapped into through a ritual that stretches back in time like one of those deep lines on the canyon walls.